Happy Friday, friends! I hope your week has been going along just fabulously (and if not, it’s almost over). Thanks for stopping by for some light-hearted reading before you start your weekend. Speaking of weekends, Dave and I are traveling again and hopping on a plane this morning. We’ve got a fun little getaway planned, which I’ll fill you in on very soon! Have you heard the hype about Siggi’s yet? If you haven’t, let me fill you in. Siggi’s is totally delicious Icelandic-style high-protein strained yogurt, called skyr, which you can purchase at most grocery stores. I got a chance to try some at IDEA BlogFest and IDEA World Fitness Convention in July and loved it. High in protein, not a lot of ingredients, thick and creamy texture. What more could you ask for in one little tub of goodness? I’m loving these tasty and healthy yogurts. And obviously, Pumpkin & Spice is my favorite flavor. Of course, Siggi’s is getting compared to all the other popular Greek yogurts out there, but Siggi’s has a thicker and creamier texture, that’s for sure, as well as a similar amount of protein. 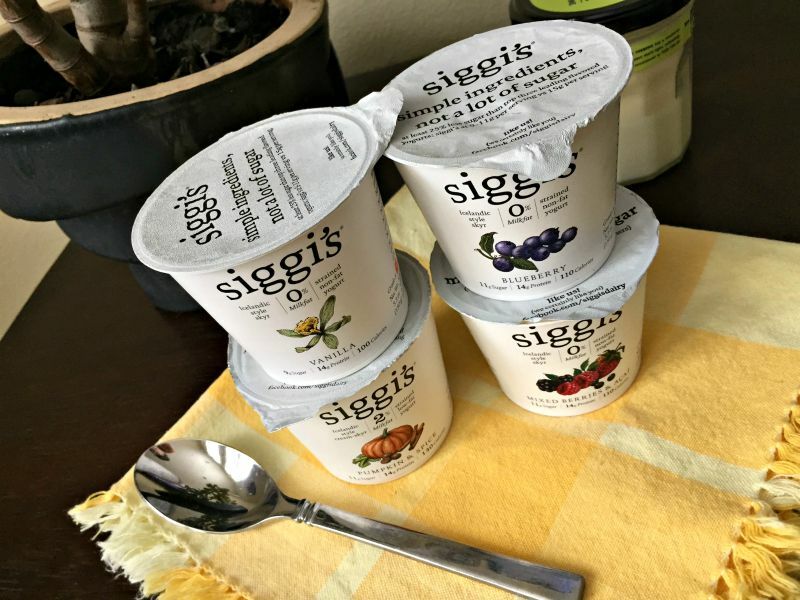 I’ve been enjoying these yogurts as a snack and am so happy that today, I get to give away a ONE-MONTH supply of Siggi’s to one lucky reader. You’ll get 30 coupons good for a 5.3-ounce Siggi’s product. And a big thanks to the folks at Siggi’s for providing me with some complimentary samples and offering to do this giveaway for A Lady Goes West readers. To enter, just leave a comment on this post. Further instructions are below. There’s little Rudy, before the trim and after the trim. I happen to like his shaggy hair and am totally fine with him growing it out. What do you think? He almost looks like a different dog, when he is all clean-cut, right? By the way, Rudy is going into surgery next week to get neutered and have some of his baby teeth removed, so please keep him in your thoughts. Poor little guy. Over the summer months, I was very much into the neons. But as soon as it hit September, I found myself back in love with red. Red everything. Red clothing. Red food. Red wine. Red nail polish. In fact, if I had to choose one permanent color to paint my finger or toenails that I’d have to look at forever, it would most definitely be a fire-engine red. 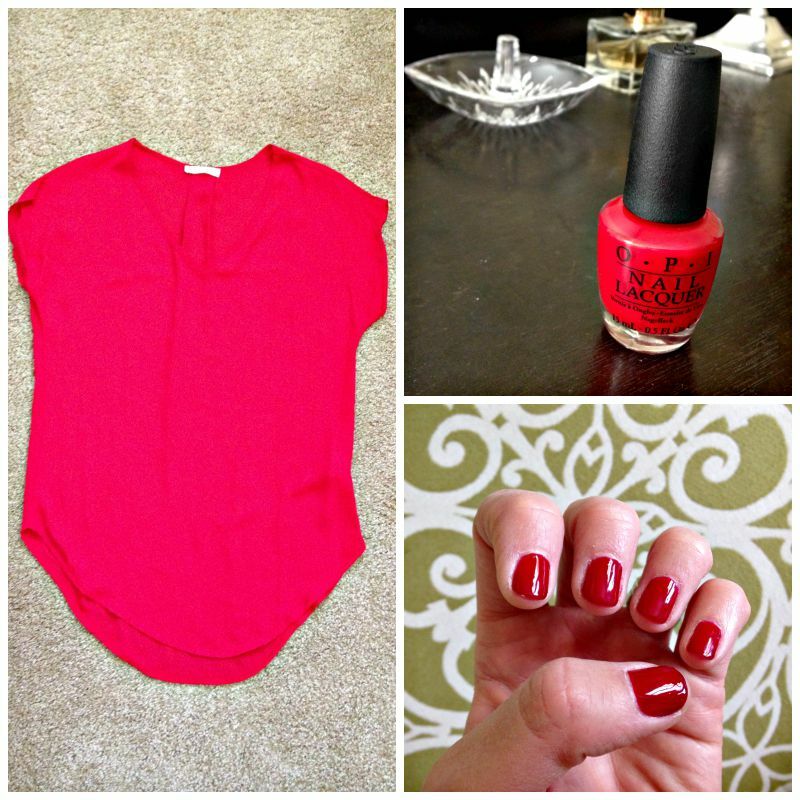 A new red top, a red manicure and one of my favorite O.P.I. nail polish shades. I’ve been getting gel manicures on my nails the past few months and got a fresh one this week. Dark red was my color of choice, and I’m loving it. Anybody else out there have a color that they just don’t get sick of? I don’t always talk about the fact that maintaining this blog takes a lot of work, but it does. And you know what, the fact that there are so many of you who come back to read my ramblings each day makes it worth while. I do not have a huge blog, with millions of followers, but I do have some loyal amazing people around here, whom I love connecting with. Even if you’ve never commented or sent me an email, I want to thank you for reading. All you have to do to enter to win is leave a comment on this post. You can tell me your favorite flavor of yogurt. You can tell me what you’re going to do this weekend. You can tell me anything. And you can leave a separate comment if you follow me on Instagram or Facebook and if you Tweet about the giveaway. The more comments, the more chances to win. This giveaway will close on Monday night (9/21), and is open to all! *There are a couple of affiliate links in this post. Thanks for your support. Do you have a fun recent favorite to share? I would love to win some Siggi’s! It’s my favorite yogurt! I LOVE SIGGI”S. Seriously. I want to do the giveaway and win it myself. Do you think that anyone would notice? Ha! I won’t tell!! 🙂 hahhaha Happy Friday, Susie! I am so glad I stumbled across your blog. Thanks for the giveaway and great info and advice! I love Siggi’s! The plain and lemon are awesome, as is blood orange! I haven’t tried blood orange, so I will need to check that one out. Happy Friday, Susan! 🙂 Glad you’re a Siggi’s fan! I’m a huge fan of Greek yogurt so I would be very excited to try this out and see how it’s different! I love your Friday favorites pieces because they give me ideas of different things to check out. I’m so glad you enjoy them, Brittney!! Happy Friday, of course. eik! I am so in love with red right now too!! Yes for red, Dana!! 🙂 And vanilla with toppings is a great combo. Hope you have a wonderful Friday and weekend, lady! I love Siggi’s! My favorite flavor definitely the coconut flavor one. I love anything with coconut (& pumpkin). I haven’t tried the pumpkin spice one yet though – I’m definitely going to have to keep an eye out for that! Thanks for the suggestion! Love Siggi’s and its low sugar! Rudy’s haircut!!! Haha so adorable! And yay for more traveling, have fun wherever you are off to! Siggi’s is so good!! I haven’t been eating a lot of dairy lately and the one thing I really miss is yogurt since it used to be my everyday snack. I may have to start incorporating it back some with all the fun pumpkin flavors. TGIF! I love Siggi’s yogurt, just tried it about a month ago and am obsessed! I loove the plain Jane vanilla…soooo creamy! Fave flavor of yogurt would be either plain (I know boring!) or vanilla. I’ve never seen Siggi’s in stores around here but our Costco carries a Skyr style yogurt yogurt that is super yummy especially in overnight oats. Busy weekend ahead for us – having friends over for a bbq and bonfire tonight and then we have a wedding to attend tomorrow. Looking forward to hearing about your travels … I’m curious about where you’re going 😛 Enjoy!! You have a very busy weekend ahead, Catherine! I hope it is wonderful. And I’m always open to suggestions, so keep them coming, my friend. 🙂 Yay for yogurt!! I love siggi’s! My favorite flavor is peach, but I would want to try the pumpkin too! I love Siggi’s! I always get the vanilla but I would love to try the pumpkin. I think your Rudy looks adorable but I am partial to more “natural” cuts, so his shagginess in the first pic is my favorite! Oohhhh yes, the 2 or 4 percent is so much better than the 0 percent when it comes to yogurt. 🙂 Happy Friday, Victoria! I love yogurt and I missed it for so many years but found out while in Ireland last year my tummy can handle it, well some and in moderation of course. I love Siggi’s Ginger Orange and then the Pumpkin one in the fall. I also like Noosa, I steal my daughter’s from time to time. We always have lots of yogurt in the house and the girls have their favs for everything so we have tubs and containers and probably 5 different brands. I follow on Instagram, Miss Whisk! Love the lemon, and I’ll have to look for the pumpkin and spice! I also follow you on Insta. Thanks, and have a fun weekend! P.S. My 6 year old just asked if she could use her email to enter her own Siggi’s. LOL I told her no, I’m a bad mommy. UMD Football game with the family!! Go Terps! I’ve never tried Siggi’s. I’ve seen it on Instagram quite a bit. When we were in Iceland, we had some skyr. It was AMAZING. There really is no comparison to Greek yogurt. I love both, but Icelandic skyr is another whole level of creaminess. I haven’t tried Siggis before, but I love coconut flavored yogurt! Hi Taylor! I like coconut everything! 🙂 Happy Friday, lady! Thanks, Suzie! 🙂 Happy Friday! I love Siggi’s. I recently saw Instagram photos of a blood orange variety…I need to find that one. Have a great weekend Ashley! I am loving Siggi’s since Blogfest! So far I have tried 4 flavors! (Sadly our grocer doesn’t carry any of the pumpkin, blood orange, or lemon) I can’t wait to try them. I have to admit I am loving the coconut! It goes well with all my toppings and I use it in my smoothie bowls. I don’t know if you have seen them on my instagram? But they are so smooth with the Siggi’s! I love the vanilla and blueberry! Love Siggi’s it is the best! Thanks, Stef! 🙂 I follow you too! I love Siggi’s – I’m a big fan of the vanilla. It’s just perfect! I also follow on IG! Hi Doc! Sure is! Love the Siggi’s! 🙂 Happy Friday! i love the orange ginger siggis! Yay for Siggi’s! Hope you have a great weekend too! This weekend I get to my niece for the first time! I am so excited that I’m finally an aunt. I cannot wait to hold her. I don’t do my regular shopping at Whole Foods either, but have picked up Siggi’s and sushi there when necessary heheh! 🙂 Have so much fun meeting your niece!! I would love to try the pumpkin spice flavor!! That sounds delish!! Pumpkin & Spice Siggi’s? Wow, I totally missed the boat there. I need to find some ASAP! And wow – enjoy your little getaway! I can’t wait to hear the details. Also, those picture of Rudy… I die. So fluffy. Enjoy the weekend and thanks so much for linking up! Oh Rudy! I love the shaggy look as well 🙂 looks like a totally different pup. Good luck on the surgery little guy. Love the nails as well! I need to paint mine, they have been naked for a few weeks… I guess I was letting them breathe haha. I love coconut flavored yogurts… yum! I have greek yogurt every day. Hi Jessie. I feel ya! Sometimes I like to let my nails breathe as well. Happy Friday!! Also… I kind of prefer shaggy Rudy! He’s so cute! That yogurt sounds so good! I love thick and creamy yogurt, so that kind sounds right up my alley 🙂 Rudy looks so adorable! I admit that I like how his hair used to cover his eyes, but this is probably much healthier for him. In Pittsburgh, a big concern is ticks and dogs getting lyme disease, so pretty much all dogs are supposed to get buzzed so you can see the ticks easier in the summer! Luckily Selma is a short haired dog so that was never a problem. That makes a lot of sense, Gretchen! He isn’t outside too much, but I can see that short hair is likely healthier for doggies. Happy Friday! Yes, it’s so creamy! Glad you’re a fan, Jackie! 🙂 Thanks for entering! Of course I follow you on IG and Twitter!! I love plain yogurt the best! What perfect timing…I am eating Siggis right now! I love the basic Vanilla for the creaminess and so I can add my own granola on top. And I love Rudy’s haircut! He looked just as cute all fluffy but it seems like he can see better now and that’s always a plus, lol. I hope you have safe travels and a wonderful weekend! great giveaway, I would love to try siggis yogurt. I like strawberry, lemon and pineapple yogurts. I like to try new flavors also. Though I’ve seen Siggis yogurt all over the place, I have yet to try it. I eat yogurt every day! sarah recently posted…I’m a Sorority Girl! Would love to try Siggis yogurt. Favorite flavors – vanilla, black cherry and strawberry! Yum!! I’ve never tried that particular brand of yogurt before, but I love that they have a pumpkin spice flavor! Lisa @ Lisa the Vegetarian recently posted…I’m on Twitter! I love siggis! I had no idea they had a pumpkin & spice flavor!!! Must try to find that one 🙂 have a great weekend and safe travels!! Thanks! Hope you find some Siggi’s!! 🙂 And I hope you’re having a great weekend. I’d love to win this! Siggi’s is actually my favorite yogurt. I love the pumpkin & spice, vanilla bean, and fig & lemon zest. Loveee this yogurt I love the vanilla and plain. My husband loves the strawberry! All of them are delicious !! I love the classic vanilla flavour.. Siggi’s is my favourite brand, too! My favorite flavor of yogurt is blueberry and I would love to win this one thanks for the chance. You’re so welcome, Heather! Thanks for saying hi! 🙂 Hope you’re having a great weekend! I’d love to try Siggi’s! I eat yogurt for a snack almost every day. I usually buy plain so I can jazz it up with whatever sounds good (pb&j, cereal, etc.) but also love vanilla and other flavored yogurts. Hi Megan! Plain is good for mixing. 🙂 Thanks for saying hi! Hope you’re having a good weekend! I’ve never tried Siggi’s, but it sounds good!! It sure is good, Genevieve! 🙂 Thanks for saying hi. Hope you’re having a good weekend! I am going to a kid’s festival downtown with my family this weekend. hey Ashley! I can only imagine how much work it takes to write this blog! You put such great content out there and always high quality! So your loyal readers (like me) truly appreciate all you do! I can’t believe that I have never tried the pumpkin Siggis before! I’m obsessed with their coconut flavor though! Have a great trip! Hi Audie! You’ve got to try the pumpkin flavor, of course! Pumpkin everything! 🙂 Hope you’re having a great weekend! I’ve never tried Siggi’s but would love to branch out and try something new. This weekend will be spent at the beach! Happy travels to you guys! I love blueberry yogurt the best! Shared on my Facebook for friends too. Thank you so much! I love vanilla and any berry flavored yogurt and have one everyday for lunch so I would be so excited to win! And OMG those pics of Rudy are adorable, love the fresh cut! Have a great weekend! I really love coconut flavor yogurt! Hi Laura! Thank you for following! Hope you’re having a great weekend! Siggi’s is by far the best quality yogurt I’ve ever had! Oh my gosh, I LOVE Siggi’s so much. Thank you for the giveaway! Their vanilla flavor is so delicious and the perfect sweetness level! You’re so welcome, Diana! 🙂 Hope you’re having a great weekend! My favourite yogurt flavours are coconut, blueberry, and plain! I’d love to win some yogurt! My favorite flavor is always blueberry. I am loving the Pumpkin Spice flavors lately, of course! 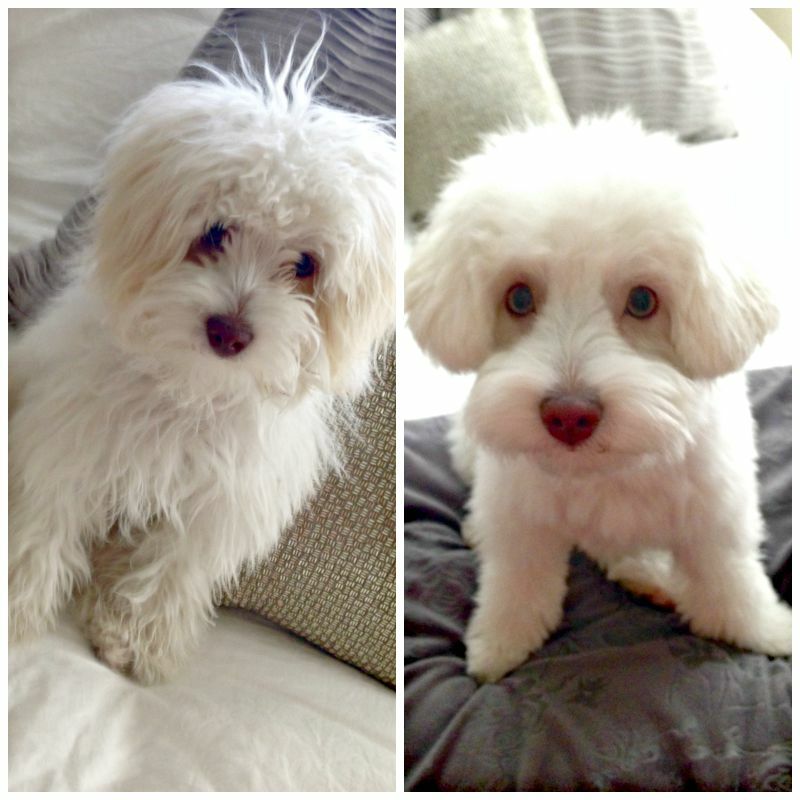 I like shaggy Rudy although after trim is adorable too! Sheena @ Paws and Pavement recently posted…It’s apple season! Hi Sheena! heehhe thanks! Yes, Rudy looks good both ways. 🙂 Hope you’re having a great weekend! Oh, I LOVE Siggi’s! I became a fan recently. My favorites of their yogurt so far include the acai berry and strawberry. Hi Kaylin, So glad you’re a Siggi’s fan too. 🙂 Hope you’re having a great weekend! I have never tried this brand, but the blueberry looks tasty. I love yogurt with fruit. I enjoy it for breakfast. Hi DJ! That’s a great breakfast. 🙂 Hope you’re having a good weekend, lady! I love siggis and the pumpkin one is DELISH! Siggi’s is my favorite! I got the pumpkin for the first time and am saving it-if I had a month supply, I would be in heaven! I like plain yogurt and then I add my own fruit berries in! I also like you on Facebook and follow on Twitter too! Strawberry is my favorite flavor of yogurt. Thanks! Thanks for saying hi, Ray! 🙂 Hope you’re having a great weekend! Facebook fan of Siggis too! I’d love to try siggi’s! My face yogurt flavors are vanilla and lemon. Thanks for saying hi and entering, Becky! 🙂 Hope you’re having a great weekend! I like plain yogurt so I can add any flavors I want at the time! I love Siggi’s and Fage! I love vanilla and peach! Narrow it down to just one favorite yogurt flavor? Yikes, that depends on my mood. Overall, my fav (snack) flavor is Boston creme pie, but if I want to eat more of a “meal”, then I go with plain Fage Greek yogurt. When there’s a new seasonal flavor of yogurt, then I’m all about that one (pumpkin, apple, Whips root beer float, etc). Oh man, then there’s the Greek yogurt with steel cut oats in it and that’s my fav “breakfast” oatmeal. Yogurt…too many choices! I really love the coconut flavor! Me too, Kimberly! 🙂 Hope you had a great weekend! my friends chide me about my ability to win contests, but the one that has eluded me is Siggi’s! It’s my son’s favourite so I hope to finally win! I love Siggi’s. It’s very creamy, rich, and delicious. I have tried blueberry and loved it but I would love to try pumpkin as well. The pumpkin flavor is quite tasty!! I love red too! I love your top – I clicked on the link you provided – thanks for that! Did you order a small? I love yogurt. I really like the Chobani key lime. I also want to thank you for all the hard work you put into your blog! I LOVE it! 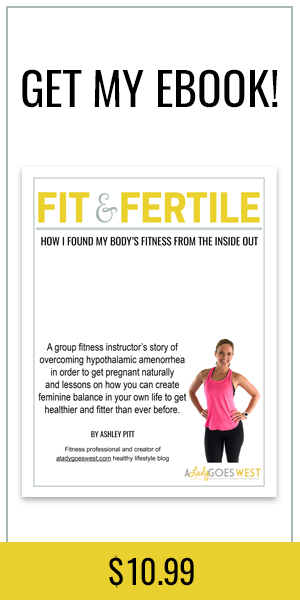 It is the only blog I faithfully read – I think because we are pretty similar people and I just love all your posts! I got an XS in that top actually since it’s loose. LOVE the red. And thank you so much for reading, Melissa! 🙂 Of course!! I cannot get enough of yogurt. Have it every morning. I tend to just get plain Greek yogurt and then mix berries or other flavorings in myself, but the pumpkin Siggi’s sounds delicious. Siggi’s pumpkin and spice yogurt is one of my favorites! I just had some last week topped with Purely Elizabeth pumpkin fig granola and it was heavenly. I heard about Siggi’s from all of you that went to IDEA fest and I rushed to the store to buy some…it is my new favorite yogurt. I just wish it wasn’t so expensive! !